We’ll explain how to solve the secret room puzzle in Shadow of the Tomb Raider! You are looking for Xur the black marketer? We’ll show you where he’s hiding and what he’s in the inventory for you! Find a covered bridge, waterfall and the 9th green! Fortnite Treasure Hunt Week 10 in Season 5. We’ll explain how to solve the bridge puzzle in Shadow of the Tomb Raider! Get all Explorer Backpacks in Shadow of the Tomb Raider! We show you all locations! Find the entrance to the secret crypt! 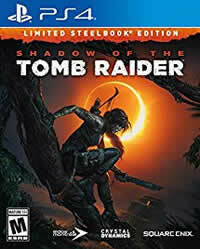 Shadow of the Tomb Raider manuals and solutions! Shadow of the Tomb Raider, we’ll show you the solution to the snake test, all steps and puzzles. Find the second side mission in Shadow of the Tomb Raider, we’ll tell you everything about the quest. Find the first side mission in Shadow of the Tomb Raider, we’ll tell you everything about the quest.